Flash’s ultimate demise has been slow and painful, and now Google is planning to deal it another blow through another update that should be active by the last quarter of 2016. 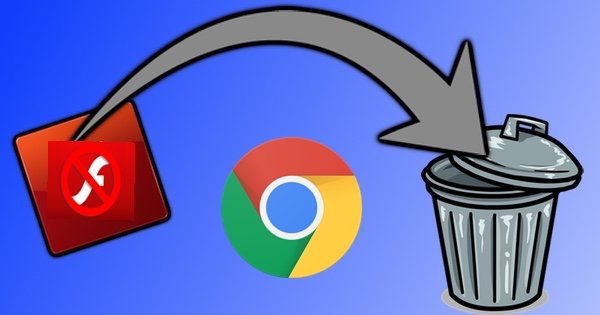 In Google’s new plan called “HTML5 by Default,” the Chrome browser will continue to ship with Adobe’s Flash Player, but its presence will not be advertised by default If a website offers HTML5, that will be the default experience. For those sites that need Flash, a prompt will show up at the top of the page when the user first visits the site. While Flash historically has been critical for rich media on the web, today in many cases HTML5 provides a more integrated media experience with faster load times and lower power consumption. This change reflects the maturity of HTML5 and its ability to deliver an excellent user experience. We will continue to work closely with Adobe and other browser vendors to keep moving the web platform forward, in particular paying close attention to web gaming. Chrome will also be adding policy controls so that enterprises will be able to select the appropriate experience for their users, which will include the ability to completely disable the feature. Where aggregate usage of a specific domain puts it in the top 10 domains using Flash, based on Chrome’s internal metrics, Chrome will initially come with a white listed top 10 sites using Flash, they include sites like YouTube.com, Facebook.com, Amazon.com and Mail.ru. The white list will continue for one year and the list will be periodically updated to remove sites whose usage no longer requires the special treatment. Last year, Mozilla, the developer behind Firefox, announced that it had disabled by default the ability of Adobe Flash. However, Users can still re-activate the feature by selecting the option in Firefox’s settings menu.